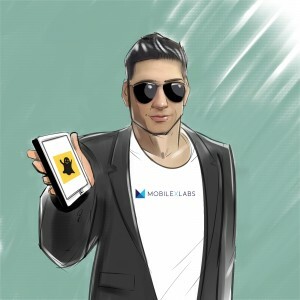 Dan Novaes, MobileX Labs | Be Like Peter. Dan Novaes is the CEO and Co-founder of MobileX Labs. He loves to create businesses – and is one of the few people in their 20s who can say he’s been creating businesses and generating profits for over 10 years. He loves to travel – and gives a special shout out to Brazil and Thailand. He loves vegetables – and credits that good habit to the Teenage Mutant Ninja Turtles and his mom. With experience and attitude adjustments under his belt, he talks about how his goals and aspirations changed from being focused on money, to being focused on making an impact. During college he actually tried out 2 corporate internships, but by his senior year he knew that it was back to a life and mission of entrepreneurship for him. In a contributing Forbes article, Dan writes about forgetting fear and embracing the failures. He says that he “fails everyday” and often people get caught up in minor failures and beat themselves up over it. He shares an extremely difficult period after college when he was “forcing” himself to churn out a business he didn’t fully believe in. At the same time, he experienced what felt like a storm of professional and personal bad luck and setbacks. As a result, he wasn’t taking great care of himself and it all culminated in serious health failure that required him to step back and re-evaluate. For the first time in his entrepreneurial career, Dan has investors for his company and believes it is the right time with the right investors for MobileX Labs. You can read about everything MobileX Labs accomplished as a bootstrapped company from Tech Cocktail. He cautions founders that looking for and landing funding is extremely time consuming and can take a really long time, especially outside of Silicon Valley. “It takes time that you, the founder, has to spend.” Where possible, he encourages companies to think of creative ways to generate revenue that leverage their core framework. For MobileX Labs, they made a few apps for some celebrities to help get their name out. Their core business product is not actually making celebrity apps, but it helped them get the money they needed to grow their core products. “I think we’re living in a really interesting time. Imagine what’s going to happen in the next 30 or 40 years! As a creator, I can be a part of that. I can do something that people couldn’t even imagine 20 years ago. What gets me excited is that I can get to a certain point where I have increased my network with the leaders of the world and society, and can create something much larger. I just want to challenge the norm of what people do. I want to create a new way of investing in people – especially those who don’t have the opportunity that I had. If I wanted to extend the average life expectancy, I think it’s possible. If I want to have a trillion dollar impact in the world, I think it’s possible. Dan already has years of successes, failures and experience under his belt – and it only fuels the same optimism that he had as a teenager with his first business. “There are endless opportunities. The world is only as big as you make it.” You can learn more about MobileX Labs, and read more of Dan’s thoughts and articles on his personal website.